Audiology / Otolaryngology procedures (auditory and vestibular assessment) undertaken on behalf of a medical specialist (Ear Nose and Throat specialist or Neurologist). Referral and eligibility criteria apply. Gap fees may be charged. rans and government pension recipients. Voucher applications must be approved by a general practitioner. Voucher holders have full choice of which provider they wish to consult. Each voucher entitles the holder to an assessment and intervention, usually in the form of hearing aids. Fully subsidised hearing aids are available to all pensioners. Fully subsidised hearing aids meet standards to ensure they are beneficial to most people. An option to "top up" to obtain hearing aids with features not paid for by the government may be offered. Consult you audiologist to understand when such features may be helpful to you. Voucher holders who have implanted hearing devices (cochlear implants or bone anchored hearing aids) may have them maintained under the OHS scheme. Not all rehabilitation services are paid for by the Office of Hearing Services and services such as counselling, communication training and specialised assessments might be recommended in addition to those products and services covered by the voucher. The NDIS provides funding for necessary and reasonable services and devices for eligible Australians under the age of 65 years. 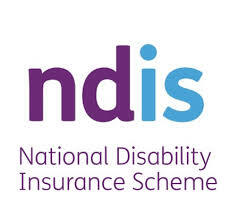 Individuals or their families apply for the NDIS. If found to be eligible, a plan is put into place that can be self-managed or managed by an NDIS support co-ordinator or local area co-ordinator. The scheme is managed by each State. Audiologists can provide hearing devices through the OHS voucher scheme which has been adopted by the NDIS for managed plans, or independently of the voucher scheme for those self-managing their NDIS plan. Audiologists can also provide therapeutic supports for services such as counselling and communication training that are deemed necessary and reasonable. Each regulatory body is responsible for enforcing health and safety laws and to protect the health and safety of all workers in Australia - including noise exposure, protection of hearing and compensation for work related hearing loss.